Get your daily dose of CBD in the most delicious way with our CBD-infused lollipops. 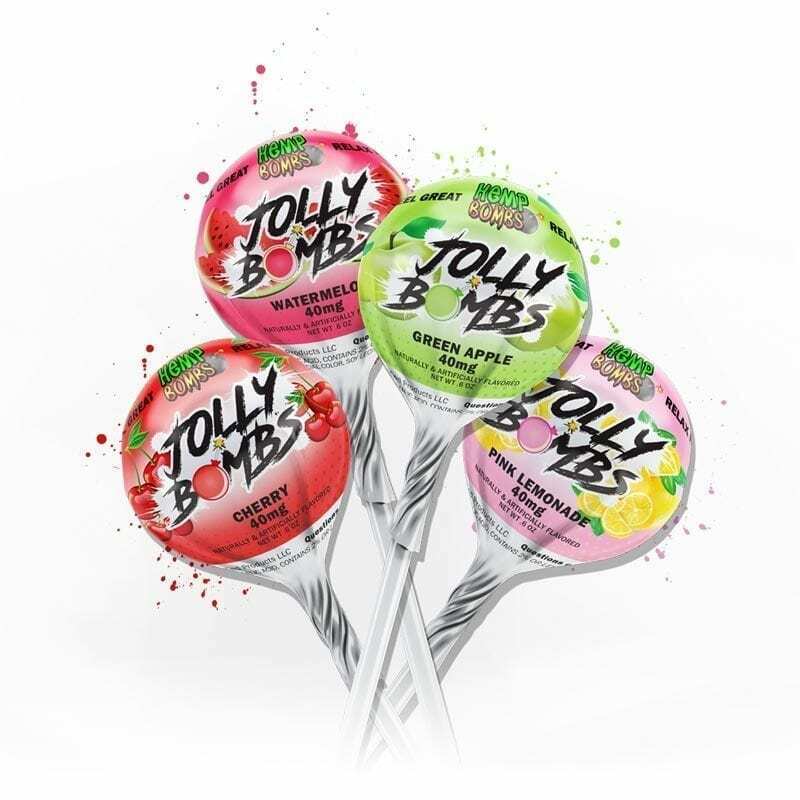 Jolly Bombs deliver a pre-measured 40mg dose of potent CBD per pop to make dosing easy. Take these lollipops wherever you go for a quick boost of CBD. This unique product is available in four tasty flavors: watermelon, green apple, pink lemonade and cherry.